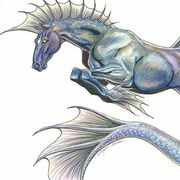 I'm a fan on fantasy and mythical creatures. You will see lots of fantasy quizzes. Yeah :) Also, I LOVE HORSES! <3 Spirit!